Are you into swirl dating? Black white dating has definitely become the latest trend today. Mixed ethnicity families are even on the rise in many parts of the world. 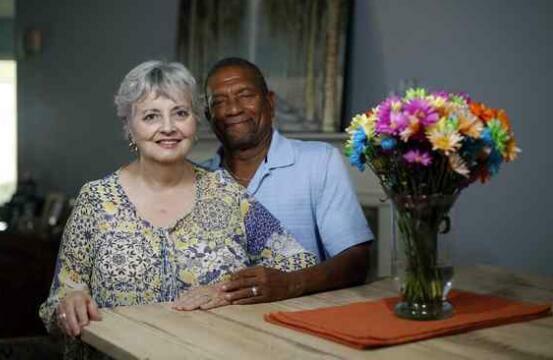 But, what if you are into interracial 50 plus dating? How do you go about with dating someone from a different race if you are already nearing your senior years? If your honey and you come from different cultures, there are several tips that you need to keep in mind to keep the relationship harmonious and balanced. Before anything else, you should never forget that race is and must never be a part of your getting to know each other stage. There is simply no need for you to dwell on this as a subject if you don’t know each other that well yet. Yes, you can touch the topic for a bit, but after that, just move on. Every person is so much more than the color of the skin that he or she was born with. It is better to discuss your aspirations and dreams, share your own story, and learn about one another, heart to heart. You have to open your heart and your mind to the possibilities that love has to offer. You have to accept the fact that there are indeed cultural differences when it comes to thing such as flirting. For instance, there are cultures that are more aggressive compared to others. Respect the background of the other person. Be curious and open. Consider doing some research on your own. Neither of you must see the other as the chief ambassador or a racial educator for your group. As people of color, you’re used to being the ones who are against discrimination. Besides, racism is still alive. Nevertheless, people make pre-judgments against one another. Check yourself and be aware of what prejudices against another ethnicity you might be bringing to the table. If you wouldn’t want it said to you, never say it to somebody else. You do not have the right of using slurs and be disrespectful of somebody’s culture. Although you have a friend of a particular background that does not mind racial ribbing, never make assumptions that your date would feel the same way. Just because you have dated a over 50 person of a different race does not mean everybody from their background is the same. Never make assumptions and take note that there is a lot of diversity in any culture. Concentrate on yourself and your partner. It isn’t a project or to make statements. It’s your life. Have a sense of humor. You also have to remember that awkward moments are already part of your life. Never assume everyone staring is racist. Some think you’re a gorgeous couple. Just take note that the most important thing is you follow your heart and you’re confident in your choices. Filed Under black men white women | Tagged black men dating white women, over 50 dating. Bookmark the permalink.